The Community of Latin American and Caribbean States (CELAC) is an intergovernmental mechanism for dialogue and political agreement, which includes permanently thirty-three countries in Latin America and the Caribbean.It is a regional forum that brings together all of Latin America and the Caribbean countries.Celac aspires to be a unique voice and structured decision-making policy decisions in the political and cooperation in support of regional integration programs. It was created with a commitment to advance the gradual process of regional integration, unity and carefully balancing political,economic,social and cultural diversity of Latin America and the Caribbean of 650 million people.Since its launch in December 2011,the CELAC has helped to deepen respectful dialogue among all countries in the region in areas such as social development, education, nuclear disarmament, family farming, culture, finance, energy and the environment. After two years of work, the CELAC has encouraged Latin American and Caribbean vision itself as a community of nations, capable of dialogue and consensus building on issues of common interest.By mandate of the Heads of State and Government, CELAC is the unified voice of the region on issues of consensus. 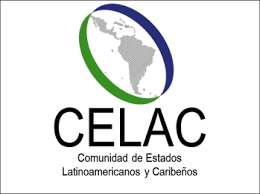 Regarding the representation of Latin America and the Caribbean; CELAC takes its faculties to act as spokesman for the Community with other countries and regional blocs. This includes the CELAC dialogue with the European Union,China,the Russian Federation,the Republic of Korea, the Cooperation Council for the Arab States of the Gulf, Turkey and Japan. CELAC is the successor of the Rio Group and the Summit of Latin America and the Caribbean on Integration and Development (CALC). In July 2010, the CELAC selected former president of Venezuela, Hugo Chavez and Chilean President Sebastian Pinera, as co-chairs of the forum to draw up constitutions for the President of Cuba Raul Castro is leading organization.Presently CELAC. The next summit was held in Cuba in 2014. As President of Mexico, Felipe Calderon declared: “We have decided, for the first time to form the Community of Latin American and Caribbean as comprises all regional states space.” Calderon said: “We can not remain disunited; We can not succeed in the future based on our differences; Now it’s up to us to unite undiscounted things that make us different to unite on the basis of our similarities far outweigh our differences. 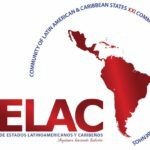 The countries forming the CELAC are: Antigua and Barbuda, Argentina, Bahamas, Barbados, Belize, Bolivia, Brazil, Chile, Colombia, Costa Rica, Cuba, Dominica, Ecuador, El Salvador, Granada, Guatemala, Guyana, Honduras, Jamaica, Mexico, Nicaragua, Panama, Paraguay, Peru, Dominican Republic, St. Lucia, St. Kitts and Nevis, St. Vincent and Grenadines, Trinidad and Tobago. Uruguay and Venezuela. What purpose this mechanism created? In order to promote regional integration and sustainable development, political cooperation, regional comprehensive agenda in forums: position the region to events of international scope; Promote dialogue with other States and regional organizations; Promote regional and subregional institutions for cooperation and communication between organizations, etc. 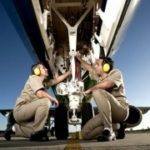 What is the way they work and how do they chose to work well? 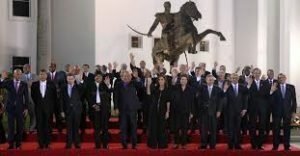 CELAC makes decisions by consensus and is governed by rules adopted by the Heads of State and Government Summit in Caracas 2011.The State holding the Presidency Pro Tempore was Chile from December 2011 to January 2012, followed by Cuba, 2003 and currently Ecuador since 2015. 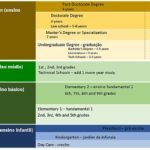 During its first year, which developments have been the best and in what field? Internationally, Celac was well received.An agreement to provide a forum for cooperation with China, strengthen ties with India, the meetings with the Russian Federation, the Republic of Korea, the Cooperation Council for the Arab States of the Gulf, Turkey was established, we take note of the progress in the dialogue on regional integration. .
Was there a pre-First Summit? Prior to the Summit of Heads of State Troika have held preparatory meetings , the Fourth Meeting of National Coordinators and the Second Meeting of Ministers of Foreign Affairs. During the year there have been around 15 meetings of various materials that were considered at the Summit. What topics were discussed and what were the results of these were preparatory meetings? Troika Meetings of the National Coordinators and Ministerial Relations CELAC coordinated decisions and resolutions to the preparation of the contract to be approved by the Heads of State Summit, including sectoral issues. This area includes the approval of the schedule of meetings of the Community, agreements reached in thematic meetings, efforts and activities in the region, as well as general and modifications to work procedures. Following Chile’s pro-tempore presidency ,who got responsibility ? The Republic of Cuba has assumed the Presidency Pro Tempore of CELAC in 2013 and its task was to coordinate the implementation of the Declaration and plan of Action Santiago, to which we have referred. Costa Rica has assumed the presidency in 2014 after the First Summit of CELAC Troika consisted of Cuba, Chile, Costa Rica and Haiti in his capacity as Chairman of CARICOM. We are confident that second year of operation of the CELAC, was the consolidation of democratic institutions, and to progress in the commands to be executed by this forum.Presently El salvador has the Pro Tempore of CELAC. 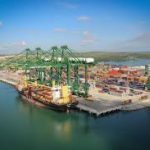 Economy in Latin America is experiencing tremendous growth due to the large domestic market, the export of commodities and merger of goods and services across the region resulting in an increase in consumption by raising the quality of America of life in most of their countries. But it still must make an effort to rescue 30% of the poor population still exists in the region. CELAC is the third largest economy in the world with a GDP of around $ 7 trillion dollars and the largest food producer in the world and third largest producer of electricity. In recent years there have been the best advances in the political, economic and social level, producing rapid growth in virtually all countries.Largest economy in Latin America is Brazil, with a GDP (PPP) of $ 2.293 million (2011). 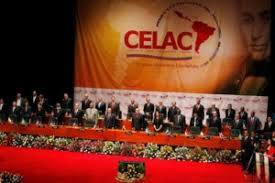 Globally ranked sixth best economy and Brazil’s success is a great inspiration for Celac member states. Our organization is a mechanism created to represent ,promote and protect the interests of the members of the Community of Latin American and Caribbean States and its citizens. This mechanism and the project is an inspiration by the noble Commandant HUGO CHAVEZ FRIAS of Venezuela and who dedicated his life to prosperity and well-being of the the people of Latin America and Caribbean and FIDEL CASTRO RUZ “one of the greatest humanist world witnessed”. We believe that Celac is beyond common political ideas of left and right.it is the social justice and equality desired for and by the people of this comunity of the nations and hopefully a model for the people of the other regions. We can continue discover life in other planets but we do not have to destroy the life on this mother earth.We don’t want to see the people of our communities in need of simple clothing and food while below where they live is rich in minerals and natural resources.Our projects are being created to help the lives of Celac citizens improve in and outside of the celac zone. Mechanism of Celac International brings together the Mision Celac ‘the NGO of CELAC created officially in April 2012 ,and Celac International trading ,project management and consulting company crated in 2013 to better represent,protect and support the interest of the Community of Latin American and Caribbean States and its citizens and Doctors for Humanity International which was created by the doctors graduated from Cuban Medical School. Through our offices we will provide information and assistance for our citizens.We will be with and for our citizens wherever they are.Our plan is to bring the Community of Latin American and Caribbean States to the level of advanced nations through development projects which are being prepared by our experts and specialist in their respective fields such as health,insfructure and education. 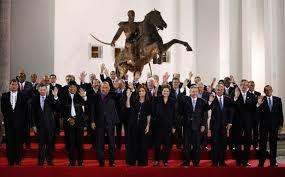 We will make 21st century ‘Century of the Community of Latin American and Caribbean States’. We hope to be a model of hope , inspiration and motivation for all developing nations. Our policy is’ We win , you win! You win, we win’.We are ready and will be happy to share our success and experiences with every nation in a respectful way regardless of its ethnic,religious and social background .We are waiting for you to discover our community with open arms..Welcome to our community ,Welcome to our CELAC. Following creation of the Community of Latin American and Caribbean States in December 2011 in Caracas, Venezuela by the heads of States of LatinAmerica and the Caribbean ,We have decided to register the first NGO of Latin America and Caribbean States on April 11, 2012 in Canada as MISION CELAC. The organization is registered with the NGO Branch of the Department of Economic and Social Affairs of the United Nations in February 2013 ( http://esango.un.org) .We started this Organization with the significant motto of noble leader Fidel R.castro “In life there are two important things: Ideas and people”. We are the people and we have the idea! Our idea is “a strong, united,prosperous and advanced Community of Latin American and Caribbean states after 200 years of independence as Noble Leader Simon Bolivar defined and guided. Mision CELAC not only represent interests of Member States, but also works to protect its citizens by providing assistance during the process of temporary and permanent integration in Canada, USA and around the world in collaboration with the embassies of member states of the Community of Latin American and Caribbean states. Our organization will be also at the service of American citizens of LatinAmerican and Caribbean origin who constitute one third of the U.S. population. ‘We are and we will always be at your side.Our organization has the sole purpose of acting as a gateway between the Member States CELAC and the world. 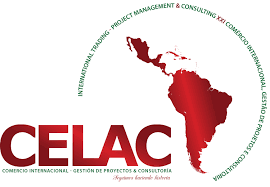 Our Company will be organizing trade missions and exhibitions ensuring that the companies of member states of CELAC can locate international trade opportunities and promote CELAC member states’ products and services attracting investment to the industries of the strategic economic sectors of CELAC. We will introduce preventive medicine with preventive measures which is successfully implemented in Cuba. 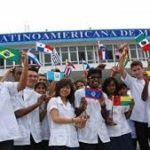 We, as well, plan to start a project which will facilitate the modernization of health systems building health service institutions such as clinics, policlinics and hospitals in developing nations with the support of the Cuban State entity ‘Servicios Medicos Cubanos'(Cuban Medical Services). 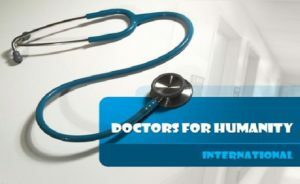 CSM will be providing doctors,specialists and medical staff with their internationally proven know-how and experience in the field of preventive health services through our partner D.H.I an International NGO incorporated in Canada by our doctors graduated from Cuban Medical Schools and registered in the official database of the United Nations Department of Economic and Social Affairs as an NGO since 2014. 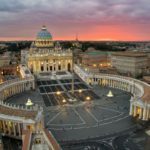 (http://esango.un.org).Our vision is to build a health service facility, whether be a hospital or clinic in every corner of the Community of the Latin American and Carribean States and the world as in Cuban example. 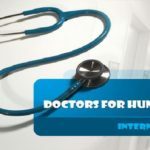 Cuban teachers thought to our doctors both how to treat patients and that every human being deserves medical help regardless of his or her ethnic, religious and socio-economic background. We are planning to present a project inspired from Brazil’s Zero Hunger project which we hope will not only help us provide neccessary alimentation and food but also increase the income level of our people and create jobs in agricultural sector.We will help our small and medium size agricultural firms and farmers get agricultural machinery and tools in affordable terms and lover the production cost for them and for the consumers. Our NGO’s mission is both to introduce preventive medicine with preventive measures successfully implemented in Cuba and to start a project which will facilitate the modernization of health systems and building health service institutions such as clinics, policlinics and hospitals in developing nations with the support of the Cuban State entity ‘Servicios Medicos Cubanos'(Cuban Medical Services). Our project is to introduce Cuban style preventive medicine with preventive measures to the countries and needed areas of the world with limited human and financial resources.We are planing and hoping to save both money and lives as in the great example of Cuba.Our pilot project will be introduced in Latin America and Caribbean countries this year with our 1.000 doctors who are ready to serve the humanity followed Latin American and Caribbean States.